Showing recent results 2836 - 2850 of 4500 products found. 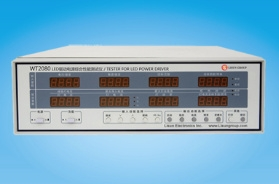 WT2080 - Lisun Electronics Inc.
LS6100 - Lisun Electronics Inc.
WB2681A - Lisun Electronics Inc.
Equipment developed to High Potential Test (HiPot) in 5KV or 10KV. Power: 127/220 Vca - 50/60 Hz +/- 5% Test time: 0.01 to 10 minutes or continuum. Precision: +/-3 % (reading) Weight: app. 7 Kg. 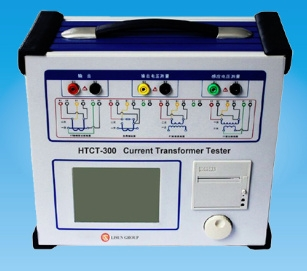 HTCT-300 - Lisun Electronics Inc.
• Full-featured, can not only satisfy various CT (eg: protection, measurement and TP category) but also PT type electromagnetic unit for its excitation characteristics (ie voltage current characteristics), ratio, polarity, secondary winding resistance, secondary load, ratio deviation, angle deviation and other test requirements. • Automatically gives the knee point voltage / current, 10% (5%) error curve, accurate limit factor (ALF), instrument security factor (FS), secondary time constant (Ts), remanence coefficient (Kr), saturated and unsaturated inductance CT, PT parameter. • The equipment is according to IEC60044-1 (GB1208), IEC60044-6 (GB16847), GB1207 and other transformer standards. 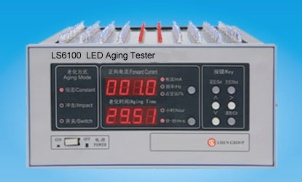 Moreover, it can automatically select the standards for testing in accordance with the type and level of transformers. • Based on the advanced low-frequency testing theory, it is able to cope with the CT test which inflection point is up to 30KV. • Elegant appearance with English graphical interface. • The device can store 2000 groups of test data which won’t be lost when power is cut off. Customers can use U disk to import the data into the PC after test, and use software for data analysising, and also can export reports as WORD for application. • Testing is simple and convenient, one click to complete the test of CT straight resistance, excitation, ratio and polarity. Besides external load test, other tests such as CT all apply the same wiring. • Easy to carry, total weight is less than 9kg. Hangzhou Xun Anda Electrical Co., Ltd.
1. 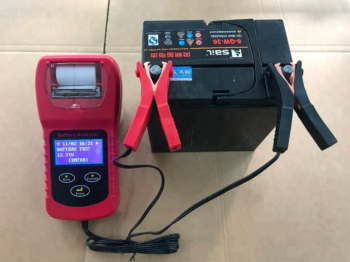 Test application: 12V/6V batteries test and 12V Starting /Charging system test.2. Test battery type: regular liquid, AGM battery, GEL battery.3. CCA test range: 40~2000CCA (SAE).4. 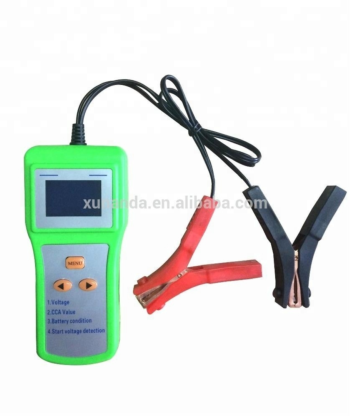 Voltage test range: 1.5-15V.5. Display SOH (state of health), SOC(state of charge).6. Test for multiple battery standards: SAE, DIN, EN, IEC, CA.7. 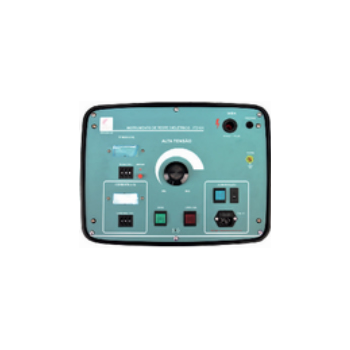 Graphic LCD display with back light, LCD brightness adjustable.8. Multigle language operation: English, Chinese, Germany, French, Spanish.9. Intergrated thermal printer to print test reports.10. Thermal printer paper roll is 58mm width and 7.5m long. 1. 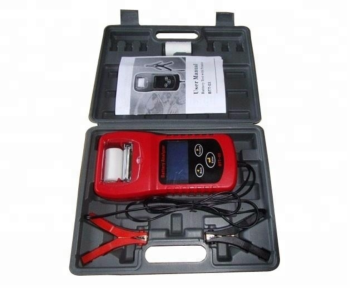 Test application: 12V/6V batteries test and 12V Starting /Charging system test.2. Test battery type: regular liquid, AGM battery, GEL battery.3. CCA test range: 40~2000CCA (SAE).4. Voltage test range: 1.5-24V.5. Display SOH (state of health), SOC(state of charge).6. Test for multiple battery standards: SAE, DIN, EN, IEC, CA.7. Graphic LCD display with back light, LCD brightness adjustable.8. Multigle language operation: English, Chinese, Germany, French, Spanish. 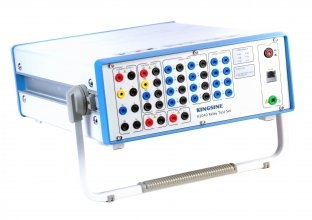 It enables the technician to troubleshoot the network by identifying specific faults with a range of features, such as cable crimping, wiring continuity testing, cable tracing, PoE type identifying, cable organizing, cable length testing, switch port blinking and much more. It supports technicians during fiber testing and fiber optic signal identifying. It is suitable for verification testing and troubleshooting during fiber installation and maintenance. The concrete water impermeability testing system is designed with many different standards in mind including DIN 1048, ISO/DIS 7031, EN-12390-8 & UNI 9533. 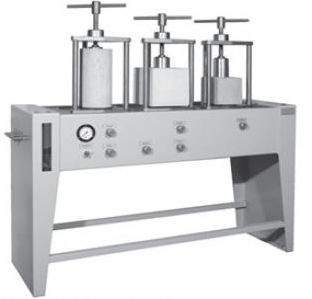 This impressive piece of machinery comes in different models with either 3 or 6 measuring points and with or without quantitative measurement of water permeability. The supporting structure is very stable and is at a convenient height to allow the easy access. The pans are made out of stainless steel, the specimens are easy to insert due to the clamping device. The 2800 series of Huntron Tracker are designed to complement conventional test instruments in the debug and troubleshooting process. Using the proven power-off test method known as Analog Signature Analysis it eliminates the risk of further circuit damage, which often occurs when power is applied. The Huntron Trackers are suited for todays varied signal circuit cards where Analog and Digital are mixed together. The Tracker 2800's features variable range parameters resulting in over 100 combinations of voltage, source resistance and frequency. The 2800 series is a great off-line support tool for the automated Huntron Access Prober diagnostic systems. The Tracker works by applying a current-limited AC signal across two points of a component. The current flow causes a vertical signature deflection, while the applied voltage causes a horizontal deflection. Together they form a unique V/I signature that represents the overall health of the device under test. Analyzing the signature can quickly determine whether the component is good, bad, or marginal. The Huntron Tracker 2800S is designed to complement conventional test instruments in the debug and troubleshooting process. Using the proven power-off test method known as Analog Signature Analysis it eliminates the risk of further circuit damage, which often occurs when power is applied. The Huntron Tracker 2800S is suited for todays varied signal circuit cards where Analog and Digital are mixed together. K3040 - KINGSINE Electric Automation Co., Ltd.